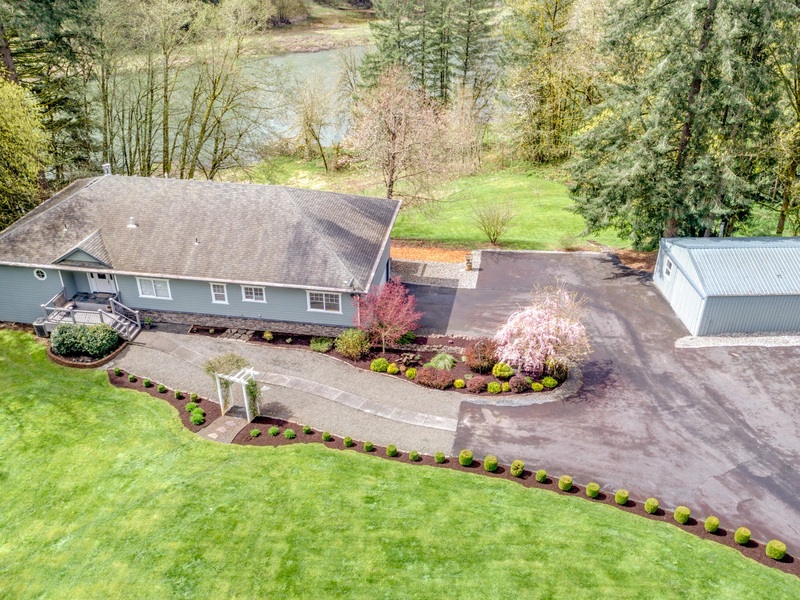 Amazing riverfront home on 5.25 secluded acres fronting the East Fork! Open concept floor plan, vaulted ceilings and tons of natural light. Deck access with river views in the kitchen, family room, den and master suite. Granite counters, 2 fireplaces and new floors. Amazing master suite with huge bathroom! Finished basement with a great room, wine cellar, storage, 1/2 bath and a covered patio. Tons of parking and a large detached shop!